They say winter is a time for comfort and home. A slow, steady, unsurprising season that assists the process of change. Why then do Australians spend so much time trying to avoid this necessary and promising season? Aussies typically look to escape the winter chill by jetting to the Northern Hemisphere. There’s a small problem with that at the moment – a weak Aussie dollar ripping a hole in your travel wallet. Domestic travel has never looked better. This winter, pull out the UGG boots, crackle the fire, pour yourself a glass of red wine and do something different – enjoy an Australian winter getaway. Guess what though Australia? We have to be the luckiest country in the world. There’s only half of the country that experiences the cold snap, the entire Top End of the country is warm and dry, offering you that desired winter escape. If you’re contemplating a ski holiday in Australia, you won’t’ have too much decision angst over where to go. 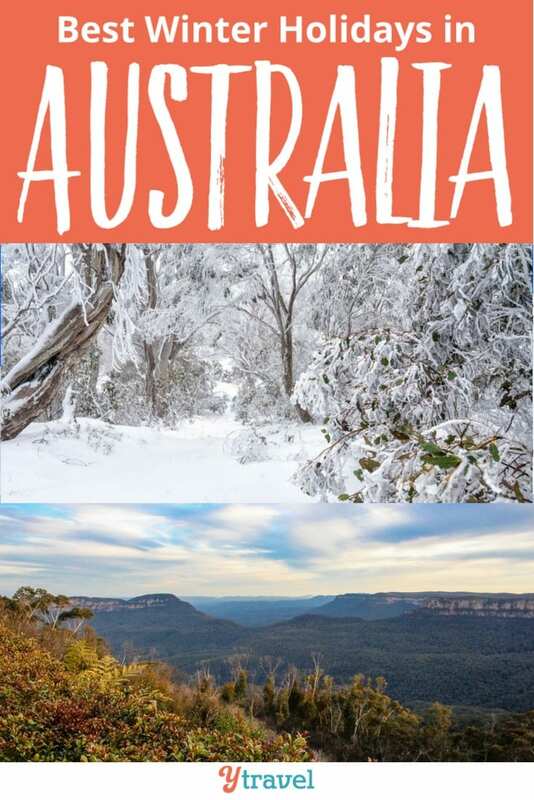 You’ve got two choices: the Snowy Mountains in NSW or the Victorian Alps in Victoria. Each year, the debate rages as to whether NSW or Victoria has the better snow. Don’t waste your time wondering, or caring, just hit the closet snowy slope you can and enjoy it. I love the Victorian High Country in the summer; I can only imagine how beautiful it looks after a snow dump. Falls Creek in Victoria has some of Australia’s steepest expert terrain; Mt Buffalo as some great snowshoeing, cross-country and gentle downhill skiing; Mt Buller has fun toboggan runs; and Mt Hotham is considered the powder capital of Australia. The Snowy Mountains are the highest Australian mountain range and contain Australia’s highest mountain, Mount Kosciuszko. Thredbo is possibly the most well-known and loved alpine village with plenty of runs for all skiers; Perisher is one of the most bustling ski resorts in the Snowy Mountains with four main skiing parks; Charlottes Pass receives some of the most consistent snowfalls and caters to all abilities, and Selwyn Snowfields are great for families. Click here to book accommodations in FAlls, Creek Victoria. I bet you never expected a Queensland destination to make this cold winter holiday in Australia list. 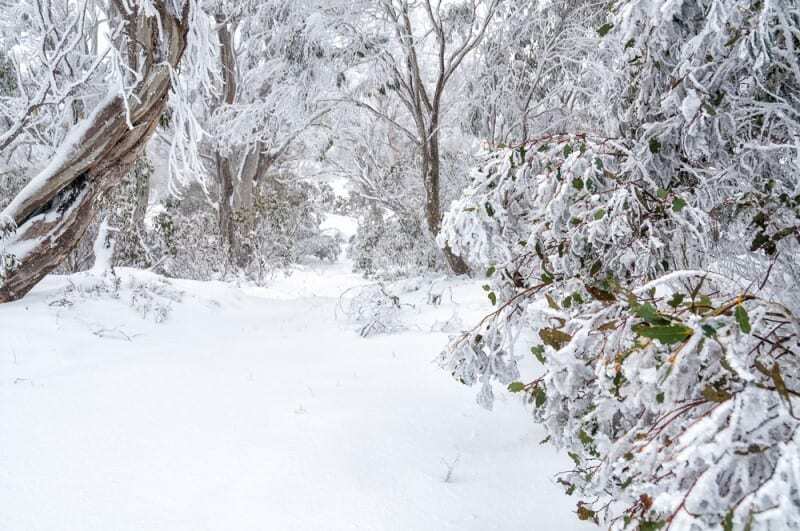 The Bunya Mountains has enough freeze to snap a twig or two, and on rare occasions, welcomes in a little snowfall. Settle into your chalet surrounded by curious wallabies and ancient bunya pines, recognisable by their rounded tops and large pineapple-shaped cones with 50-100 edible nuts. The cafe amongst the chalets makes a delicious carrot and bunya nut cake which you can enjoy by the fire at night with a glass of red wine. During the day, the temperatures are pleasant enough to enjoy the kilometres of Bunya Mountain walking tracks (from 500 metres to 10 kilometres long). 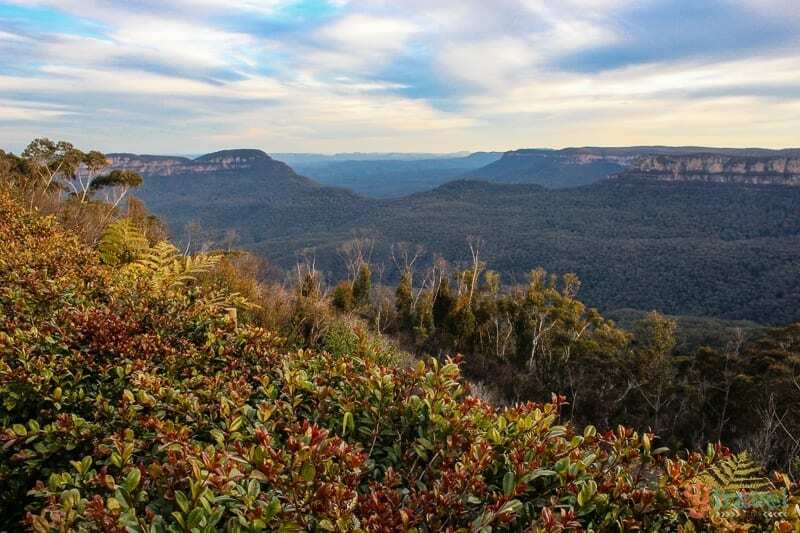 The popular 4km return Scenic Circuit Walk, takes you through rainforest, eucalypt forest, past Tim Shea Falls, onto natural grassland balds, giant strangler figs, and to Pine Gorge Lookout offering panoramic views. 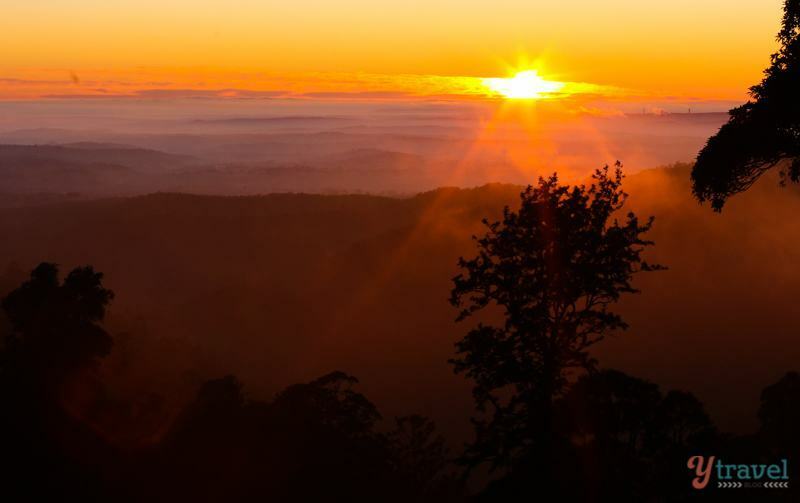 Bunya Mountains National Park is situated between Kingaroy and Dalby and is a spectacular wilderness range overlooking the South Burnett region. You can even pop down into the valley for a bit of wine tasting! Read more about the Bunya Mountains here. The Blue Mountains reminds me of the Grand Canyon, one is covered with a lush forest, while the other, its rock faces and ravines are laid bare. Both are places willing to share their secrets – if you just take the time to sit and absorb. To understand its soul you have to go down. The Blue Mountains has a depth greater than the sandstone escarpments and infamous Three Sisters. We snapped our I was here photo and then went down, 900 steps into the valley below into a forested fern bower. We explored an emerald wonderland that belonged to us and the ancient trees. Towering sassafras and coachwood trees blocked off the sunlight, and the ferns stretched across the forest floor. They whispered their stories, and we heard every enchanting word. There’s no rush to get out early to beat the summer heat. You can linger your early morning gaze over the rainforest covered valleys and hit the trails later in the day. The crisp, cool mountain air perfect for hiking. It’s also possible you may get a slight dusting of snow. The Blue Mountains offers relaxation, adventure and rejuvenation, unbelievably good local produce, world class cafes, cosy pubs, and fine dining. Click here to book accommodations in the Blue Mountains. The Barossa is known for their shiraz and what goes better with that then a chill to the air, local artisan cheese, and a roaring fire? There aren’t as many people around and it’s a great time to admire the vines, meet the winemakers, snap up some bargains and be among the first taste some brand new releases. Pindarie and Kellermeister are the wineries to watch the weather roll across the valley with a bottle of vino and a cheese platter. Pindarie is a working farm so offers kids plenty of space to explore and scramble over haystacks. Yelland and Pappas tasting room, with their Chesterfields and open fire, will make you feel like sitting in the warm, cosy home of the winemakers, Susan and Michael. Ever wondered what your birth year tasted like? A trip to Seppeltsfield will give you an insight. You can taste it through a vintage year Tawny Port. Or perhaps, you’re not so vintage? 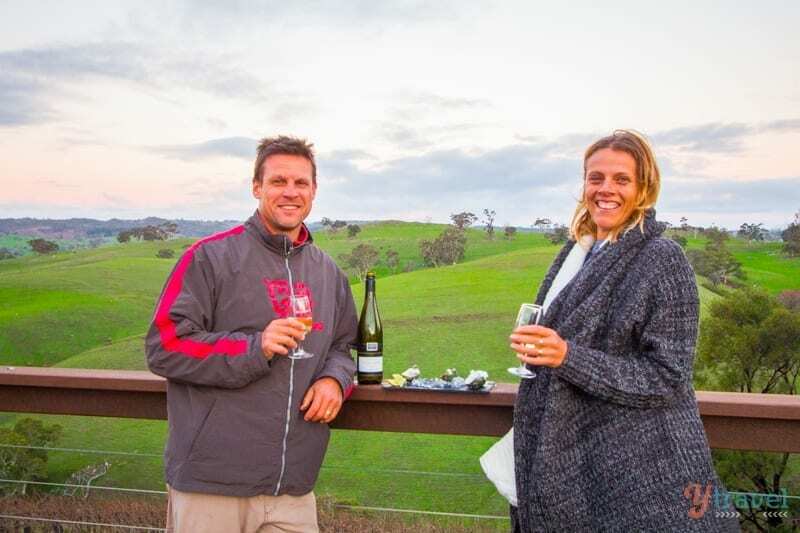 If you don’t want to be responsible for getting around, or finding the best spots in the Barossa, jump aboard the ‘Hop On & Hop Off’ bus – Barossa Explorer. This 20 seater coach that picks up and drops off around the Barossa at stops including the Barossa Valley Brewery, Langmeil Winery, Maggie Beers Farm Shop and Chateau Tanunda. Click here to book accommodations in Barossa Valley. Read more about the Barossa Valley here, here and here. I love the idea of this adventure, but not sure I could follow through with it. 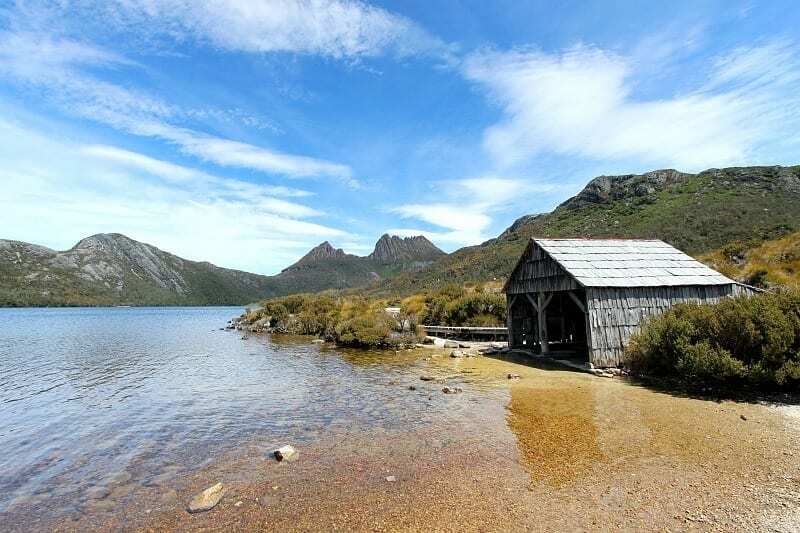 However, if you are daring, fit, and ready to embrace a winter challenge, completing the Overland Track in the Tasmania Wilderness World Heritage Area may be for you. During winter the high peaks along the Overland Track receive a generous dusting of snow, turning the Cradle Mountain National Park into a winter wonderland. Highlights of walking the Overland Track in winter include fewer people, crisp winter air, frozen lakes and frequent snowfalls, which change the vistas of the surrounding landscapes. Walkers will also often meet wombats, echidnas, wallabies and Tasmanian Devils along the way. We saw so many wild Australian animals just walking around Dove Lake at Cradle Mountain. I sure feel cold now! Let’s turn on the heat. To book at Cradle Mountain click here. Read more about Cradle Mountain here. Cradle Mountain tours can be booked here. Tired of frost on the car window and being wrapped up in a scarf and beanie? Okay, so you’re determined to beat the winter chill, even though it’s a season worth celebrating. You can still get the warmth you seek while technically still travelling in Australia during the winter! 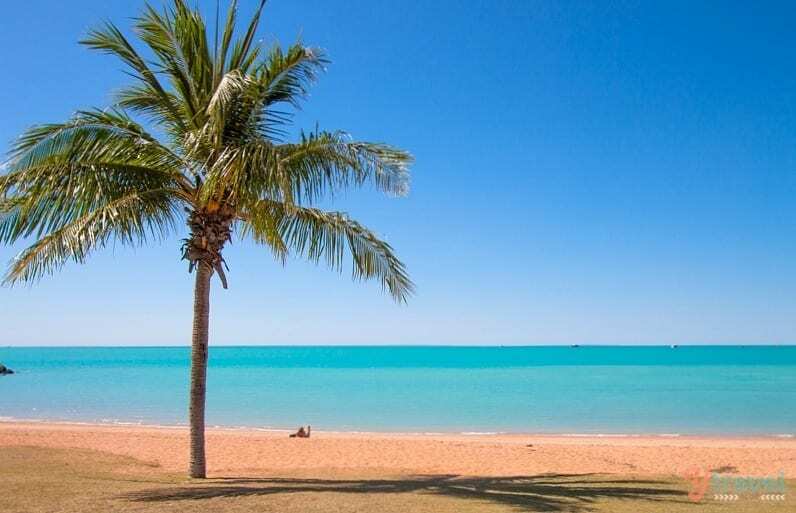 The best place in Australia for a warm winter holiday, in our opinion, is Broome. Y’all know how much we love the vibe of this Outback coastal town. It’s possible the most remote region for your winter getaway, but that is part of its small-town, slow-paced charm. Broome Town is an eclectic pot of grunge and bohemian with an edge of posh creeping in. You’ll find great shopping, cafes and restaurants, and the nightlife, which was much wilder when Broome was mostly a pearling town. From sunrise to sunset there is so much to love about a day on Cable Beach. Consistently ranked as one of Australia’s best, it’s 22km wide, flat sweeping beach is perfect for beach cricket, polo, long walks, meditation, building sandcastles, and just chillaxing. It’s also the spot for 5 pm sunset drinks. 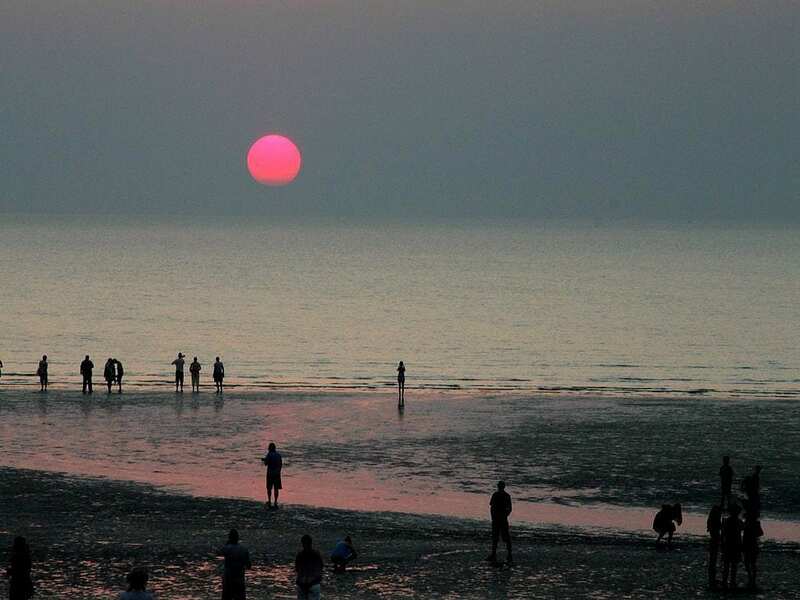 And Broome is the gateway to the Kimberly region – one of Australia’s most diverse and stunning natural beauties. Think gorges, waterfalls, beaches, wilderness, stunning vistas, boabs, and rich Aboriginal culture. Click here to book accommodations in Broome! Darwin is eclectic, tropical, laid back and is a hot destination to visit – literally and figuratively. With a dry-season average temperature of 30C travellers are flying there by the plane full! There are thriving markets, a rich multicultural and indigenous vibe, an emerging food and bar scene, and some of the best sunsets in Australia. Don’t miss enjoying it with a beer and your bare feet at the Darwin Ski Club. The huge drawcard of Darwin is that it’s close to some of Australia’s most unique, spiritual and beautiful natural experiences including the Tiwi Islands, Litchfield and Kakadu National Park, Adelaide River, Mary River, Arnhem Land and the Katherine Region. Kakadu is one of my favourite places in Australia. Do not race in and out just to check it off your list. Stay awhile. Read more on things to do in Darwin. This region is one of the best places on the East Coast of Australia to see whales who love to visit during the winter. Humpbacks swim into Hervey Bay for a relaxing time in the calm waters with their babies before making their way back south. You can join a whale cruise from Hervey Bay, but don’t be surprised to see many breaching whales just offshore from 75 Mile Beach on Fraser Island. With more than 100 freshwater lakes, ancient rainforests, and long white beaches, Fraser enjoys daytime winter temperatures around the pleasant mid-20s. It still can get cold so pack your beanie and scarf. 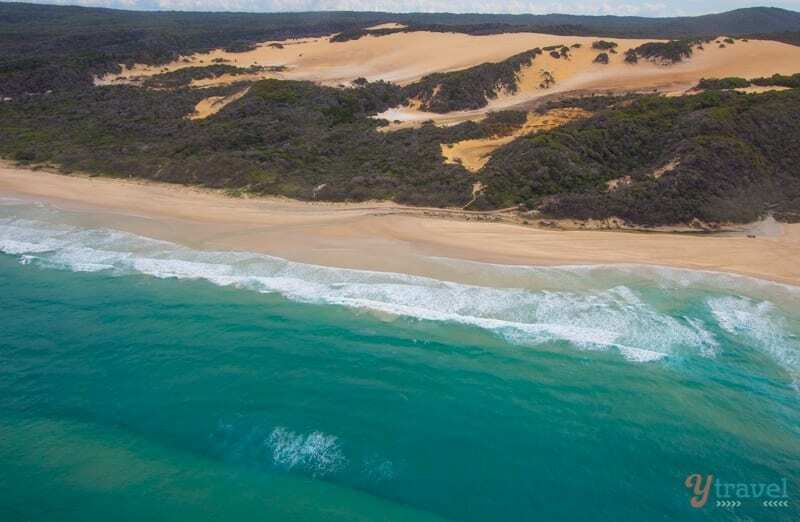 While Fraser Island is well known as one of the best places in the country for hard-core four-wheel driving enthusiasts, it offers so much more, for kids, for families, for everyone. Enjoy visiting swimming places such as Lake Mackenzie and the Champagne pools, watching wild dingoes from afar, driving down bumpy inland tracks, and speccy sunsets from the Jetty Bar at Kingfisher Bay Island Resort. Read more on things to do on Fraser Island. 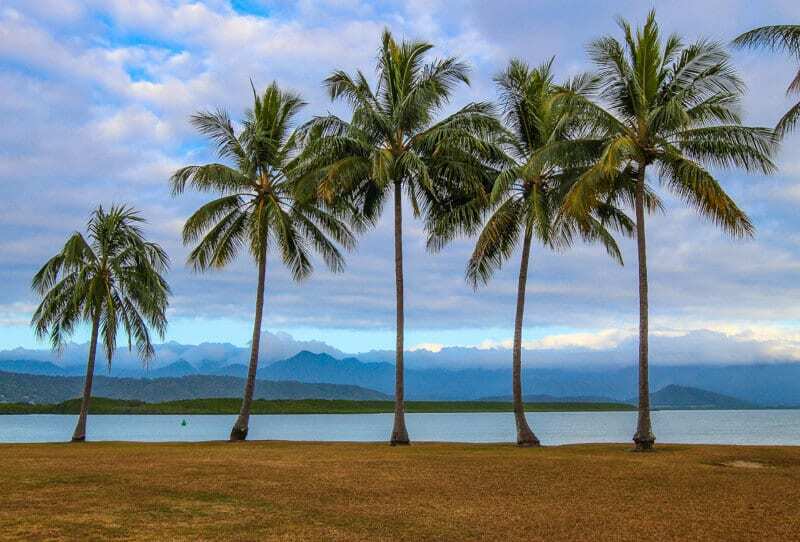 It’s hard to beat Port Douglas as a warm winter, tropical destination in Australia. The coastal town has a chilled-out vibe inviting you to do nothing but relax, dine out, take long walks on Four Mile Beach, enjoy sunset wines on the marina, and perhaps do a bit of shopping. Port Douglas is the gateway to the Great Barrier Reef, Mossman Gorge, and the iconic 140 million-year-old Daintree Rainforest. The Amazon ain’t got nothin on the Daintree! A short walk through Mossman Gorge takes you to the Mossman River, and a swimming hole – the water here is said to be the second purest in the world. Stand up Paddle Boarding is great to do on the Mossman River and we highly recommend that you take one of the Ngadiku Dreamtime walks into a private section of the forest to learn about Aboriginal customs, the food and medicinal properties of the plants, and to hear a few Dreamtime stories. In the Daintree, explore the beaches, sample exotic Daintree ice cream, and adventure out with jungle zip lining, kayaking, or beach horse riding. A trip to the Daintree Discovery Centre will guide you through the rainforest to learn about its twisting vines, strangler figs, epiphytes and cycad trees that date back to prehistoric times. Don’t ignore the Daintree Valley either! Book your Port Douglas accommodation here. We particularly like the QT Port Douglas and the Coconut Grove apartments. We visited Uluru during the summer and experienced intense heat and absurd flies. If you visit Uluru in the winter, you’ll escape that horror. 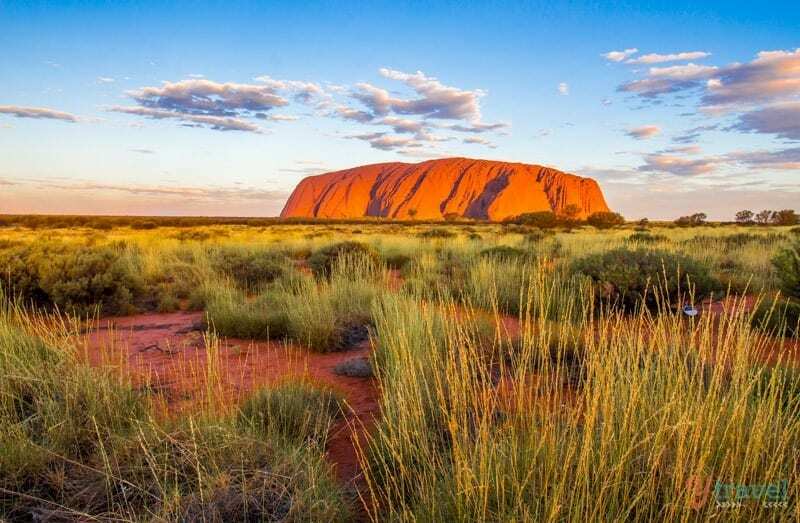 When you visit Uluru in the winter, you experience a warm and cold getaway all in one. The nights will be freezing so rug up, and perhaps ditch the tent for a cosy apartment or hotel room, but the days will be warm and dry. 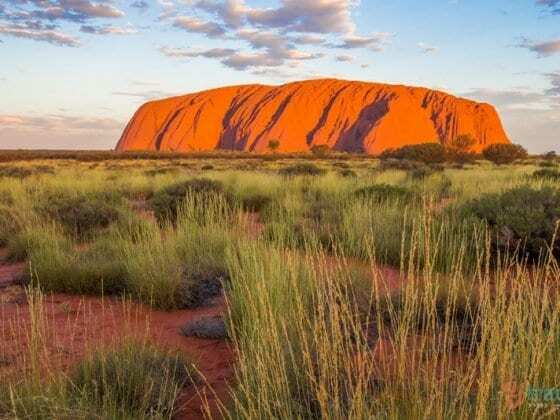 Uluru in the winter has the perfect temperature to walk or bike around the base of the rock which is the best way to appreciate its spiritual essence. The hikes through Kata Tjuta are more intense, so you’ll be grateful for those cooler temperatures. For those travelling with kids, the sun sets earlier and rises later which means happier, well-rested children and a better experience. Stay awhile so you can appreciate Uluru during sunrise and sunset from many different vantage points. Read more about our visit to Uluru. 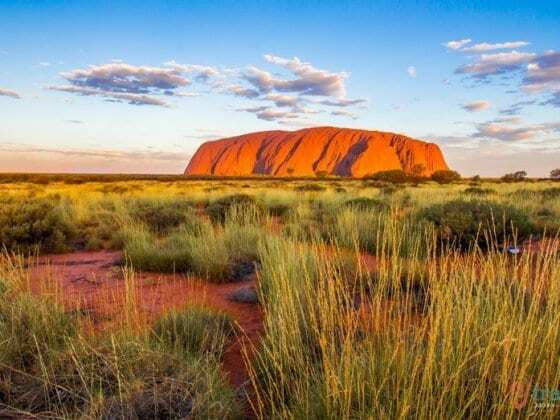 Book your Uluru tour and experiences here. 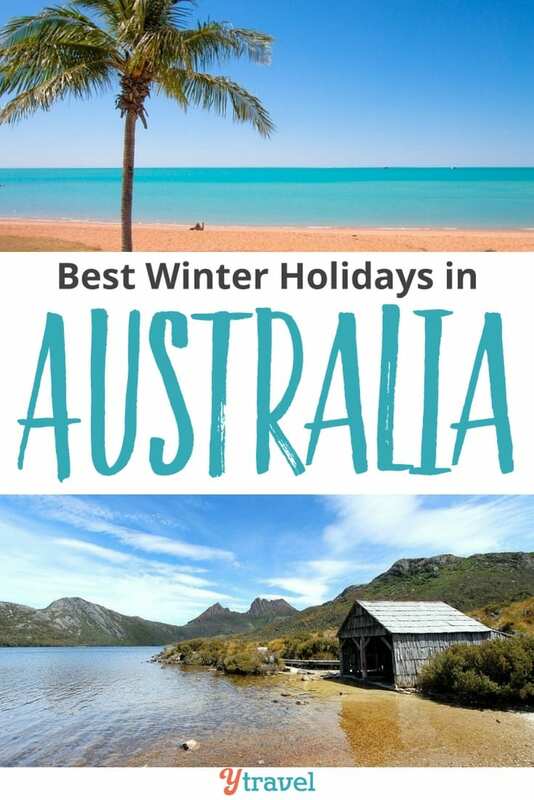 Have you experienced any of these winter holiday destinations in Australia? I stay away from Australia in the winter haha. But I may have an excuse to return now.. maybe. I ‘d love to fravel to Australia during winter. Where is the best place to visit for nice scenery ? What kind of scenery and experience were you looking for?